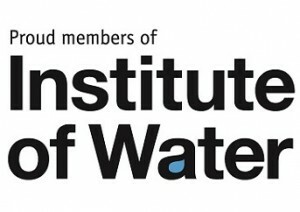 CSC Services are now Institute of Water members. CSC Services have joined the Institute of Water as part of its ongoing commitment to the professional development of all staff and operatives. The Institute of Water is the only professional body solely dedicated to supporting the careers of people working in the UK water sector. As Institute of Water members, CSC Services will have access to a range of events on water sector topics at both national and regional level, and to meet and network with top people from inside and outside the water sector. “As a specialist contractor to the water industry, it is important that CSC Services keeps up to date with the ever changing sector and the complex challenges it faces. Membership of the Institute will offer our operatives the opportunity to broaden their knowledge and develop within the sector which is something we believe is fundamental to the way we do business. CSC Services is a specialist contractor to the water and power industries. The experience and capabilities of all staff are already recognised by the SSIP, Constructionline and UVDB Achilles national databases CSC Services have obtained Health & Safety Quality and Environmental standards with Citation Health & Safety Management systems, and ISO 9001 & 14001 certification. All operatives are confined space qualified, hold CSCS cards, EUSR Water Hygiene cards and City and Guild Water Jetting certificates as a minimum.